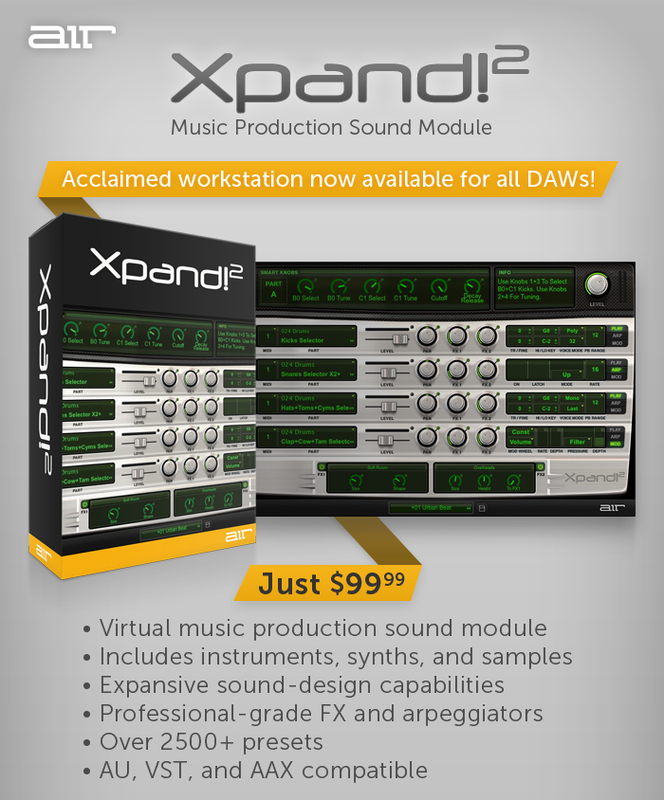 AIR Music Technology has announced availability of XPand!2 in VST, AU, and AAX formats. AIR Music Technology produced the original XPand! 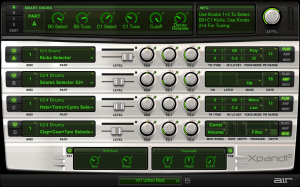 Instrument as part of the Creative Collection plugin package included with Avid Pro Tools. Now, the latest version, XPand!2, is available on its own, providing a powerful music creation tool for any musician, sound designer, composer, or producer. AIR Music Technology designed XPand!2 to operate as a multitimbral music workstation. Each patch may contain up to four stereo parts. 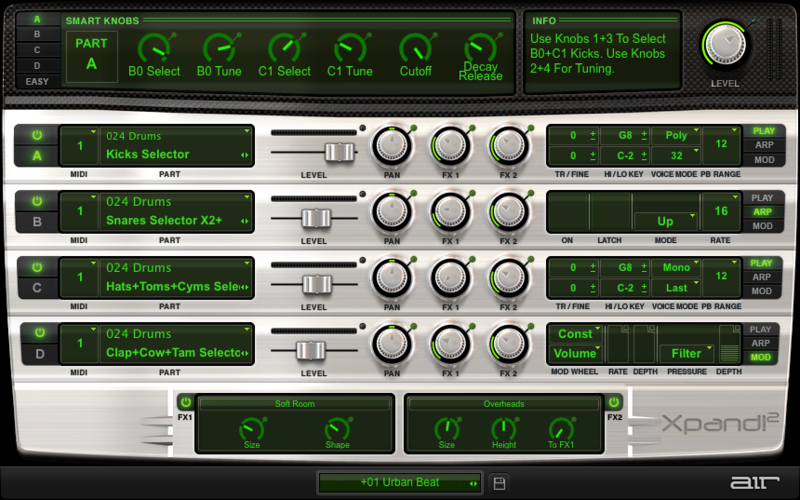 Each individual part is provided with its own MIDI channel, Note Range (Zone), Mix, Arpeggiation, Modulation, and Effects settings. The Voice Mode for each part can be set to polyphonic or monophonic. Polyphonic parts can have up to 64 voices; monophonic parts offer First, Last, Highest, or Lowest priority making it easy to designate a bass, lead, or solo instrument. 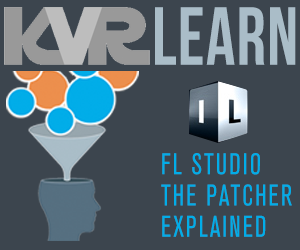 As good as each part may be on its own, fusing the four parts together to build one Patch is where XPand!2 reveals its true power. XPand!2 relies on a variety of sound creation technologies—everything from wavetables and FM synthesis to sample playback—to deliver thousands of patches created by the Air Music Technology sound design group. Sounds are conveniently sorted into categories for quick access. Editing a sound or creating new ones from scratch is simple. Six smart knobs deliver hands-on control of major parameters relating to the selected sound. In the Easy Mode, each of the six knobs now controls common parameters of all parts in a patch for rapid, on-demand editing. "XPand! quickly became a key reference instrument for Pro Tools users worldwide since its release, " said Andy Mac, Product Manager for AIR Music Technology. "XPand!2 builds upon this proud legacy, now including over 2500 expertly-crafted sounds, multiple part layering, and patches with a collection of outstanding studio quality effects. The editing is simple for any performer, while the onboard arpeggiators allow inspiring patterns." Versatile multitimbral sound module instrument. Up to four stereo instrument parts per patch. 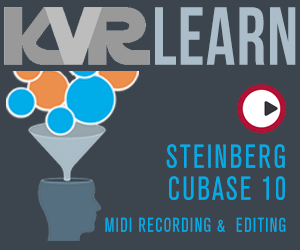 Up to 64 voices per part; Mono or Poly voice modes. Smart Knobs provide intuitive sound editing. Easy Edit Knobs control the entire patch at once. 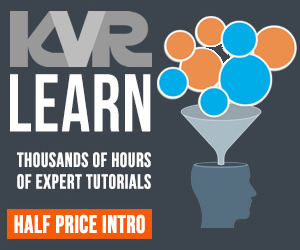 Two digital effects processors; 50 editable effect types. Over 2500 + total presets and parts. VST, AU, and AAX compatible. A number of inventive modulation routings add to the performance capabilities of Xpand!2. The advanced arpeggiator includes dotted and triplet values, as well as a useful Latch mode. Two independent processors deliver dozens of audio effects. The processors can be routed individually, or combined together in a "cascade mode" to create new results. XPand!2 is available online for $99.99. Owners of AIR's AIR Instrument Expansion Pack can upgrade to XPand!2 for $49.99. M-Audio enhances M-Track II Series with "Songwriter Suite"